It’s one of our most important agricultural shows of the year and also one of the largest in western Canada. Canada’s Farm Progress Show draws in exhibitors from across the prairie provinces to put on one of the largest shows in the agricultural industry, bringing together the most innovative technology and knowledgeable ag leaders. 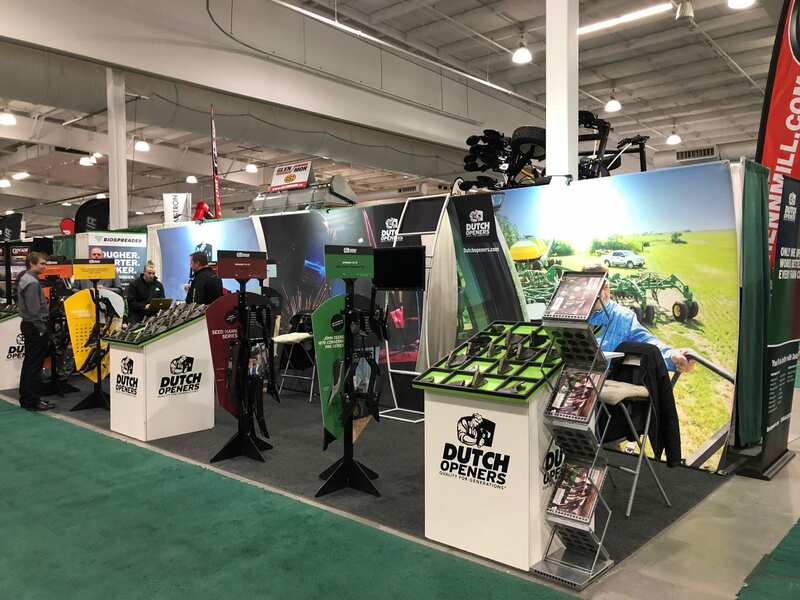 This year marks Dutch Opener’s 32nd year at Canada’s Farm Progress Show as an exhibitor, and like the many years prior, we are proud to attend. We bring our full team of territory managers, engineers, sales, and marketing staff to the show so all levels of our organization are able to keep in touch with what is most important: our producers. Each year provides a unique and valuable experience for all of us at Dutch to be able to connect with our producers off the field, answer questions, and help producers get most out of their air seeder set up. It also allows us to showcase what’s new at Dutch and the opportunity to hear your feedback first hand so we can continue to grow and build quality products. Not only does the Farm Progress Show draw in attendees from all over Canada and the United States, but it also draws people from across the globe as well. Dutch Openers holds an Exporter Membership for the International Business Centre, which allows us the ability to hold meetings and create connections with international organizations and individuals that may be attending the show. This experience to connect with others from the agriculture industry on an international level is truly invaluable. We are eager to see all of you at Canada’s Farm Progress Show next week from June 20th – June 22nd. Dutch Openers will be in Hall #7 in booths 70753, 70751, 70743, & 70741.